Our huge inflatable snow globe can cater for up to 6 people at once! 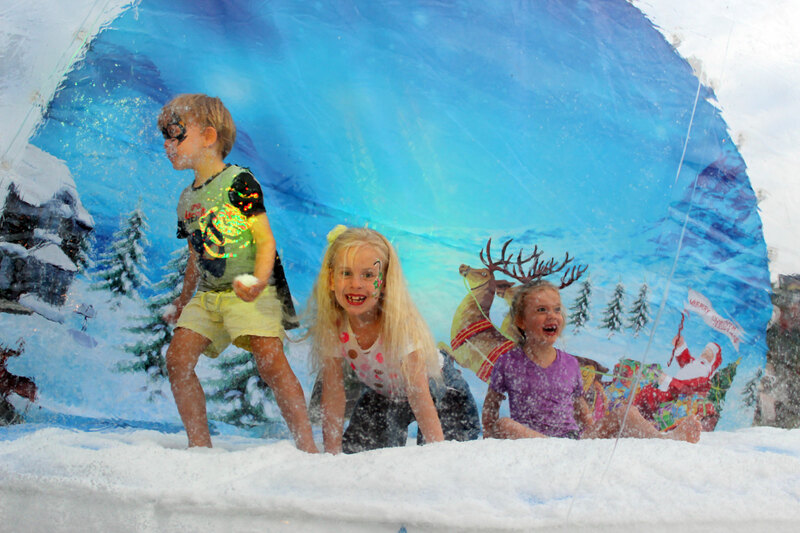 Once inside, both kids and adults can enjoy playing in the artificial snow. 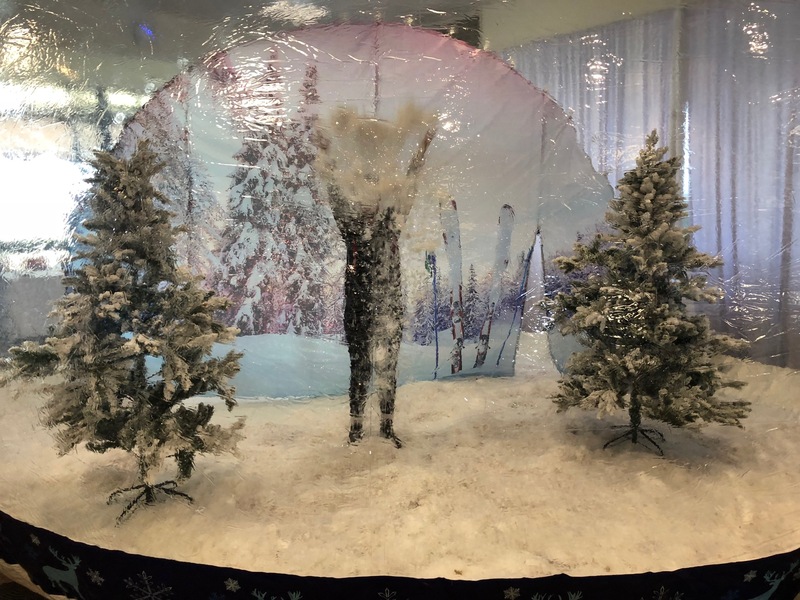 This is something entirely unique for your Winter themed event or Christmas party and creates a great photo opportunity. We can also arrange to customize the rear backdrop to include your own brand, design or logo. Just give the office a call on 9545 5556 to find out more! This is a great attraction for Shopping centres and Corporate events. We come to your event, inflate the snow globe, fill it with fake snow and let the fun begin! Requirements Flat level ground. Suitable indoors or outdoors. Additional cost will apply if we are unable to peg using metal pegs and concrete weights are required. Not suitable for use in rain, high winds or if it’s under direct sunlight for too long as it gets very hot. 10% fee applies for each additional hour. An additional cost may apply for late bump outs.